Remember Ryan Dungey? Yeah, we hope you do because the legend of SX/MX is still hanging out at the races helping out his old Red Bull KTM team and trying to figure out what’s next for him—of course, after his wife Lindsay gives birth to their first child. We had Dungey on the PulpMX Show this past Monday night and we were joined by Chad Reed for a few minutes as well. After Reedy explained that he can’t understand how Dungey retired back to Minnesota with the weather we just had there, Dungey talked about watching Reed still competeing in supercross. Dungey raced Red Bull Straight Rhythm last fall but other than that, it doesn’t sound like he’s been doing much riding at all. Like so many other riders that spent their entire live riding a dirt bike, it doesn’t sound like Dungey wants anything to do with testing for KTM like Trey Canard and Andrew Short have both done in the past once they were done racing. One of those “things” for Dungey is he’s an investor in Intense Bicycles which is seeing itself go under a new business model with the OG founder Jeff Steber back running things and the brand focusing on getting the moto segment that they once owned back. 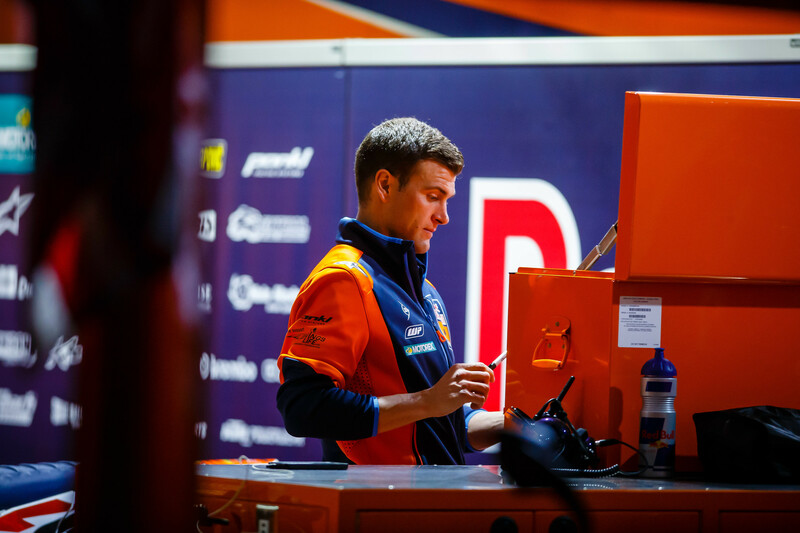 So Dungey’s got that going for him and his role with KTM is working with the riders including Cooper Webb, who’s been hands down the surprise of the 2019 Monster Energy AMA Supercross Championship. “I thought it was going to take about a year to develop, but he’s [Webb] surprised the heck out of me; just the fact that going through the off-season with Aldon [Baker, trainer], kind of like you said rebuilding himself. Then I think the biggest thing was, because once he got that first win and realized, ‘Wow, I can do it.’ You know that, the confidence and it just keeps building. It’s been really cool to see,” said Dungey, who knows a thing or two about coming out of nowhere to win a 450SX title. “And not to mention, I think a guy like Webb, I grew up through the amateur scenes watching him come through as well just as a young kid. Funny to ask Dungey, who you know wouldn’t have liked it as a racer, about the Triple Crown format. He admitted as much saying on the show that he liked the traditional eight lap heat race and 20 lap main events from a few years ago. But Dungey admits what we all saw on the weekend was a great thing. Life’s good for Dungey right now. He’s able to be at the races and be around the family that he grew to love, he’s got a great family of his own and is back in the state that he grew up in. 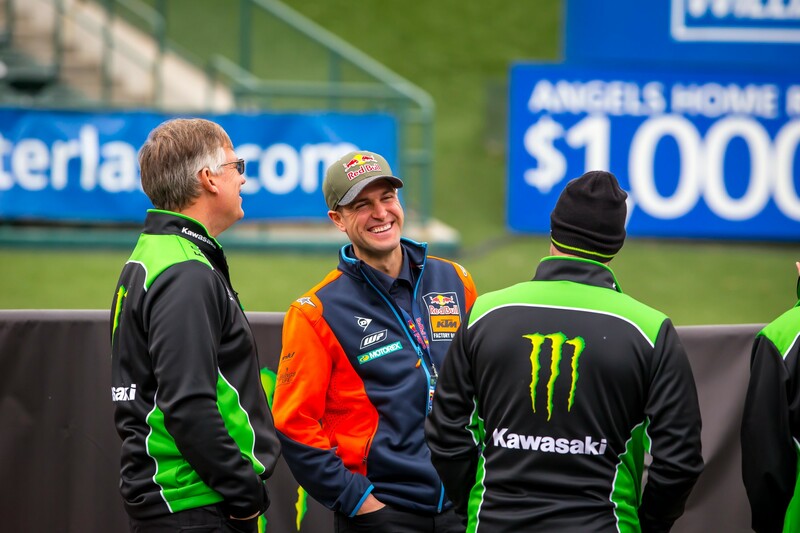 Business interests, racing stuff, fatherhood coming—Dungey sounded like a man that is as relaxed as he’d ever been. To listen to the show, please check out PulpMXshow.com.